Our association with Indian Institute of Management Kozhikode (IIMK) Live Business Incubation facility has got us some media attention recently. 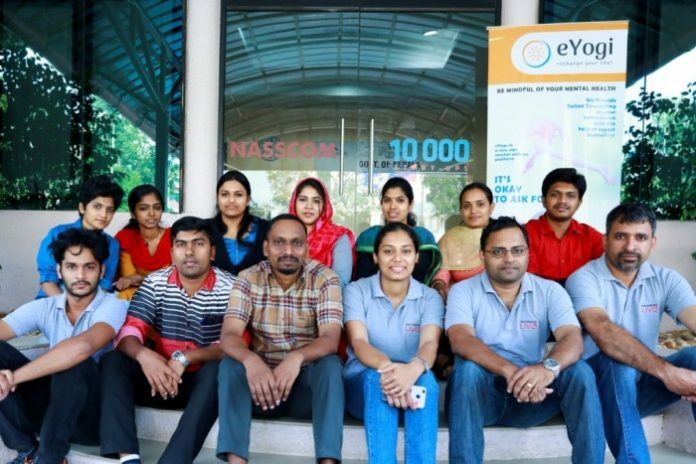 The article by Business Publication Division of Indian Express Group www.ExpressBPD.com (article) talks about how it all started as an academic project at IIMK Kochi campus where our founders were doing Executive PGP, to how it took shape to something that addresses a real need in the society. In India, mental wellness is one area which requires huge investments due to the lack of infrastructure and trained professionals. Bringing technology assisted services in this area is the need of the hour. We are looking at bringing innovative methods to handle this very need. We have taken our first step towards this by introducing a platform that connects our clients to counsellors using telephone. It is so simple for anyone to start using our services. All you need to get started is a phone number where you can receive calls. An appointment can be taken online at eYogi.in very easily with a few simple clicks. Our trained counsellors will be ready to talk to you at the convenient time you have chosen for appointment. We have just conducted an intensive training workshop on “Behaviour Therapy” for our counsellors here at NASSCOM 10,000 startup space in Infopark Kochi. We are very happy about our association with SEDDAC Charitable Society also which helps in liaising with experts in the area of counselling services. eYogi.in is an Online Counselling platform where you could share your thoughts/feelings with a trained Counsellor. eYogi.in uses online or telephonic medium to connect to a psychologist/counsellor. Your number will not be shared with anyone. Why Counselling? Do You Think Counselling Is The Last Thing To Do? Why follow up sessions are important in counselling? Being indifferent in a relationship – is the damage done? **Online counselling is not advisable if you are in acute distress or feeling suicidal. Please visit your nearest hospital immediately if you are feeling suicidal or at risk of self-harm.